Today I'm sharing a layout I made just for fun. I found this background cut file by Tanya Batrak in the Silhouette store and I just new I had to do something with it. 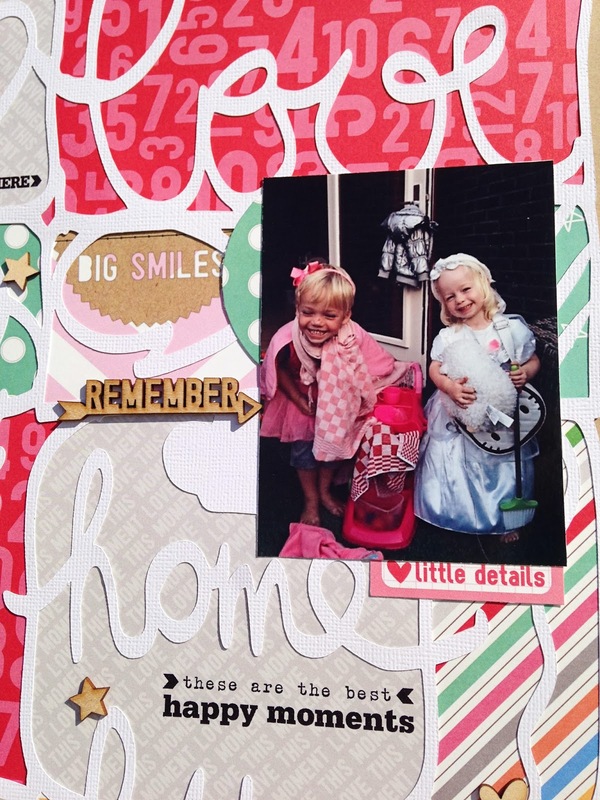 I filled the background with papers from the Elle's Studio Everyday Moments collection and added some of their stamps and wood veneers. You can find all Elle's Studio products overhere in the Paper Issues store. If you want an overview of all new products, you can find it here. Don't forget to use my code DANIELLE20 for 20% off your entire purchase! 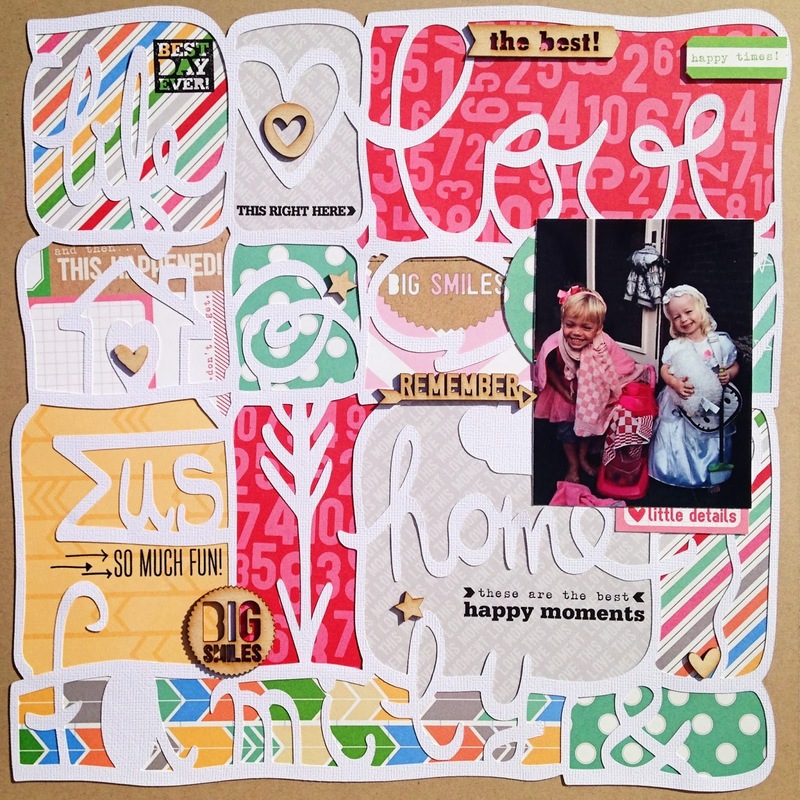 What a fun and bright layout ! TFS ! Just saw this on IG and loved, loved, loved it! Awesome job with the cut file! 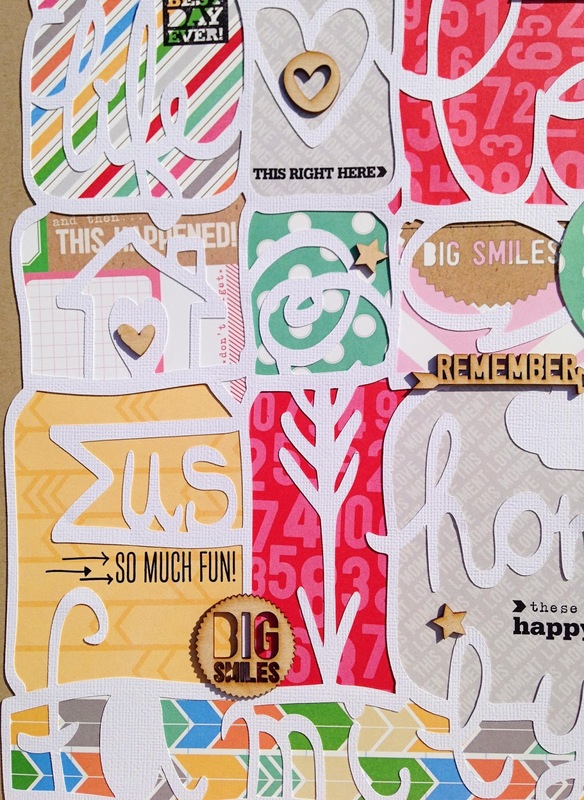 Oh my gosh,that cut file is sooo fun!I love how you highlighted new papers in each section!! Wow! That is impressive! I would really love to see a video on something like this because it confuses me how you make all those paper stick to the back of a skinny stencil. I have a Cameo and I have been scared to attempt it! Marvelous! I'm so inspired that I'm going to purchase that cut file as soon as I finish this comment. The background papers really give the layout life. I LOVE this cut. I don't usually get excited over the full page cut files but I really like this one! And I love what you did with it.